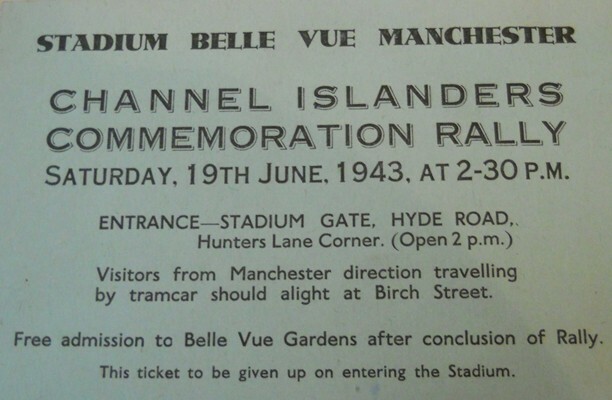 It is a ticket to a rally that was held at Belle Vue on 19 June 1943. The rally was attended by thousands of evacuees from Guernsey, Jersey, Alderney and Sark. They had fled their homes to England in June 1940, just days before the islands were occupied by Germany. It was given to me by the family of Muriel Parsons, who attended the rally during the war.